Looking for the best blender for cashew cream? I can help! Having made well over 100 batches of cashew cream since becoming vegan, I like to think I have a pretty good idea of what the best blenders for the job are. What you should look for in a blender and my experience making cashew cream. Which other considerations you should make before buying. A deep dive into my top picks and their pros and cons. What Should You Have to Pay? 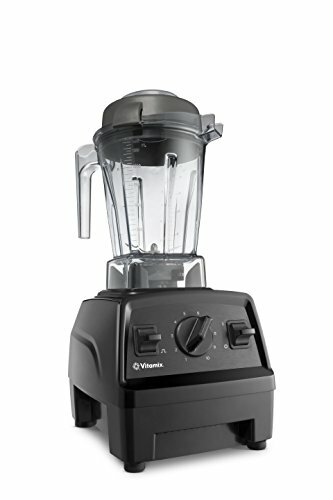 The Vitamix Explorian is the absolute best choice because of it’s power and versatility. Making cashew cream is easy for this blender, and it’s powerful enough that you won’t need to soak the cashews to completely liquify them. The variable speed functionality and pulse give you control over the chop-size of your ingredients from a rough chop to complete pulverization. The tamper ensures that the blender doesn’t get jammed up as you can use it to keep things going into the blades. Finally, the 5 year warranty means that your investment is protected and you won’t have to be scrambling to buy another blender in a few years if something goes wrong. I’ve used my Vitamix warranty a few times throughout my blender’s life, and I can vouch that the company is amazing. The Nutribullet Pro 900 is actually my go to for making cashew cream. I often times choose it over my Vitamix because of it’s convenient size. The 900 watt motor is more than powerful enough to do the job, especially if I’ve given the cashews a decent soaking. Sure, it’s less versatile and powerful than a big countertop blender, but it also means that it’s a lot less money. The warranty is also not as long, but this is a blender I’ve been loving and using regularly for a few years with only a few minor issues. When issues do arrive, I usually fix them myself. It might seem strange that I would pick a refurbished blender, but the Blendtec company is that good. I don’t own one myself, but I’ve used my brothers dozens of times to make cashew cream and other things. This blender has more in terms of raw power than the Vitamix and comes with an 8 year warranty despite the fact that it’s refurbished. The company has honored my brother’s warranty repairs several times with no qualms, and he’s had the blender for close to five years. I left it third on the list because I wish it came with the Twister Jar (the Blendtec’s version of a tamper), but it’s still awesome. In the 100+ times I've made cashew cream, I've done it with a wide spectrum of blenders and motor power. I've used some variation of all the blenders on this list to do the job, whether it was the exact blender or one of the older or sister models. To make cashew cream successfully, the end product should be completely creamy with no granules throughout. It may seem like you need a really high-end blender to do this, but it's not necessarily the case. Smooth cashew cream made in a 900 watt blender (Nutribullet 900). High power isn't needed, but it's great for other applications and grants you less soaking time. Because there is some water in cashew cream, you have more leeway than you do with nut butter. You aren't necessarily grinding hard nuts, you're softening them first with water, and then blending them. Soak your cashews for a few hours, and they'll grind up into cream with ease, even with a less than powerful blender. The more powerful the blender, the less time you'll have to soak the nuts. In fact, when I use my Vitamix to make cashew cream, I don't really have to soak the nuts at all. I tend to let them sit for just a few minutes while I do some other tasks around the kitchen and blend. I've made 100% smooth cashew creams with a 600 watt blender that's not nearly as powerful as the blenders on this list. Because the soaking softens the nuts so much, you can get away with using a $40 or $50 blender if you're on a budget. That being said, I do recommend spending just a bit more to get more power -- at least 900 watts like the Nutribullet 900. For one, you might not always have the time or the forethought to soak the nuts for long every time you want to make cashew cream. I certainly don't plan my meals every night, so I usually end up making it on a whim. Here's what cashew cream looks like when the nuts aren't properly soaked. It's a but more chunky (still delicious, though). My Nutribullet requires a bit more soaking while my Vitamix can liquefy whenever I want. You also have to ask yourself -- What else am I going to do with this blender? Unless you only want to make cashew cream, you'll probably also want to dabble in things like smoothies, hot soups, or sauces. All of the blenders on this list are more than capable of doing smoothies and sauces. For hot soups, you'll need something other than the Nutribullet 900, it's simply not designed to do so. As you go up in price, you'll have more flexibility with what you can do. Blades: As a general rule of thumb, you don't want to get sharp blades when you're getting a blender. Sharp blades are great for chopping, but not for blending. In the case of cashew cream, you want to completely pulverize and liquefy the ingredients, not chop them. Dishwasher Safety: Not all blenders are dishwasher safe, but all of the jars on this list are. Older Vitamix models were often not dishwasher safe and you can potentially warp some of the metal components. Vented Lids: Both the Vitamix and Blendtec models on this list have vented lids. This is so they can make hot soup. One reason you can't make hot soup in the Nutribullet is because it's not ventilated, meaning the pressure would build up dangerously high from the heat. Tamper: The Vitamix is the only one on this list that has a tamper, but the Blendtec has the option of buying a Twister Jar separately. A tamper is the device (pictured below) that goes in at the top of the blender to push ingredients into the blades. Even the most powerful blenders can get stuck, and the tamper makes sure that things stay moving every time. It's Great for things like really thick cookie dough or batters. Preset Programs: The Blendtec has some pre-programmed settings that allow you to make smoothies or soups at the push of a button. It's useful if you don't want to stand around and babysit the blender. It also provides consistent results so you can be sure your blend will turn out perfectly every time. Pulse: Any blender can pulse - just turn it on and off really quickly. It's good for rough chopping. This blender is going to make quick and easy cashew cream with hardly any soaking. It also does countless other tasks -- pretty much anything you could ever want to do with a blender. Warranty: When you buy a blender, it's a terrible feeling when it breaks. It happens, even to the best ones. The 5-year Vitamix warranty on this blender gives you peace of mind. I have extensive experience with their warranty department and their services is second-to-none. Power: The peak 2-hp motor is far more than you need to make cashew cream, but it also means you'll be able to do pretty much anything else. Even thick, frozen smoothies are a breeze. Variable Speeds: If you make a soup in the Vitamix, it's nice to have things be different textures. You can use the high speed to liquefy, then turn it low and add the ingredients that you want to be chunky. Also works with things like cacao nibs for desserts. Tamper: The tamper ensures that the thickest of blends don't jam things up. Dishwasher Safe Container: You can throw the container right in the dishwasher for an easy clean-up. Low Profile: The 48-oz container is less bulky than the bigger Vitamix models means it can easily fit under cabinets. Pricing: The only downside to this blender is that it might not be affordable for some people upfront. But when you consider the warranty -- the value of it cannot be beat. Capacity: Has less capacity than the 64 oz Vitamix jars. Despite it's smaller size and lesser power, cashew cream is still a breeze with the Nutribullet 900 Pro. In fact, I prefer it over my Vitamix when I'm making small batches. The cashews need to be soaked just a tad longer for silky smoothness, but not enough to make me complain. I never even really plan it out -- I just soak for around 30 minutes and it's perfect. Size Options: This blender has the capability of using different cup sizes (sold separately). I've got a few extras myself and utilize three different sizes for different purposes. Other Accessories: It comes with other accessories like a handle which makes it easy to drink straight from the cup, or lids for fridge storage after use. You can't do that easily with a big blender. Dishwasher Safe Cups: The cups themselves are dishwasher safe. I tend to throw the blades in as well. I don't think it's advised by the manufacturer because it can warp the rubber gaskets, but I haven't had any issues. Price: Most people should be able to afford the Nutribullet. Powerful: Even though it's not as powerful as the big boys, it gets through smoothies and ice without issues. 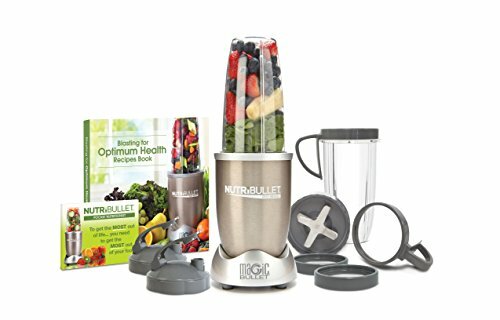 Warranty: I can't say I've had much experience with my Nutribullet warranty (haven't needed it and it only lasts one year), but it is much less comprehensive and shorter than a Vitamix or Blendtec warranty. No Tamper: If I'm doing something with a lot of solid food, I go to the Vitamix with the tamper. The Nutribullet can handle it with enough opening and shaking around, but it's not efficient. No Hot Soups: No venting means no hot soups. However, the Nutribullet Rx does have this function. Read our guide to the best Nutribullet for more information. No Variable Speed: Difficult to control between chopping and pulverizing without variable speeds. You can do it by pulsing, but it's more difficult. 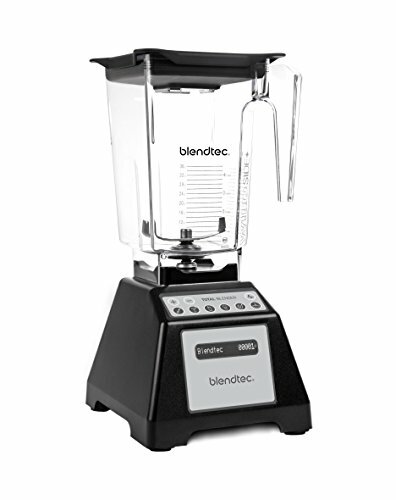 This refurbished Blendtec Total Blender boasts the most power of all the blenders on this list. The pre-programmed settings give it a bit of extra functionality and overall it's a solid choice. My brother uses one and I've made tons of cashew cream in it with no issues. Power: Plain and simple this thing is a powerhouse. It can get through the thickest of frozen fruits and ice without the need to tamper it. Hot Soup: Makes hot soup with the push of the pre-programmed button. Seriously no guess work into getting the soup perfect. Just follow a recipe and go! Pre-Programmed Settings: Beyond soup, it makes smoothies, batter, juice and more with the push of one button. Variable Speed: Just like the Vitamix (which uses a knob), the variable speed buttons and dull blades make it simple to control chop size. Dishwasher Safe Jar: It's easy to clean without the dishwasher by blending with a bit of soap, but the jar is dishwasher safe if you're so inclined. Warranty: Three year solid warranty on a refurbished item is great and their support is superb. Tamper: You have to buy the Blendtec Twister Jar separately to get a tampering function. It's generally powerful enough to have things not get stuck, but it still happens. Pricing: May not be affordable for some. All in all, I’m sure you’ll be happy with any of these blenders. If you had to pick one, I’d make it the Vitamix E310 Explorian because of it’s durability, warranty and well-rounded functionality. But remember, making cashew cream isn’t that hard — especially once the nuts are soaked. So feel free to choose a cheaper one if a Vitamix isn’t in your budget.